The crew lands on the new base on a strange desert planet inhabited by strange spiderlike creatures. 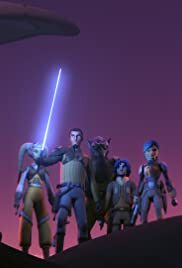 Ahsoka, Kanan and Ezra prepare to solve the mystery of Darth Vader. Kanan Jarrus: You never turn your back on an enemy! Ezra Bridger: *Okay*. But since when are you my enemy?